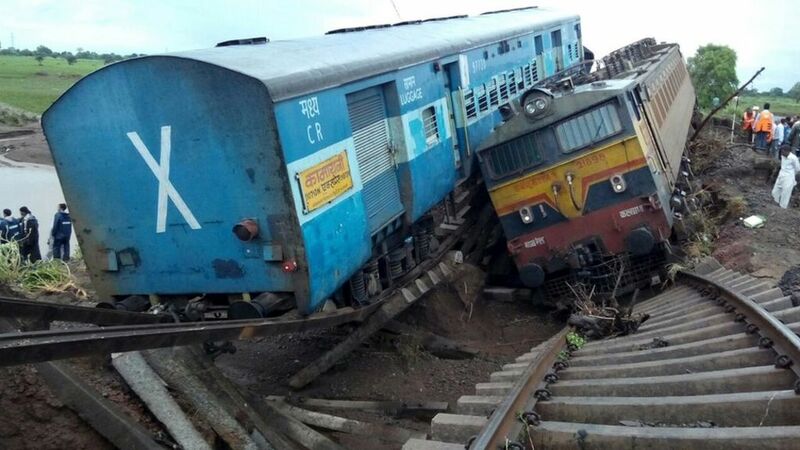 Two passenger trains in the Indian state of Madhya Pradesh have derailed minutes apart on a partially flooded bridge, killing at least 24 people, officials say. The trains were passing each other near the town of Harda, and some coaches fell into a river. A railway spokesman told the BBC that heavy rain had caused river levels to rise, submerging the track. At least 24 people are killed as a flash flood derails two trains on a bridge in the Indian state of Madhya Pradesh, officials say.